He used the Jets, it appears. So we should be expecting Mularkey to be fired? And Roman in his place? Arguably the biggest name available and worked his way into being regarded the top candidate and the Jaguars land him? Bring on Greg Roman for HC! David Caldwell enters his first season as the Falcons Director of Player Personnel in 2012. He will oversee both the college and pro scouting efforts and work closely with Falcons General Manager Thomas Dimitroff. Caldwell will also play a day-to-day role in the analysis and evaluation of the Falcons current roster while aiding in the research on how to acquire future free agents. 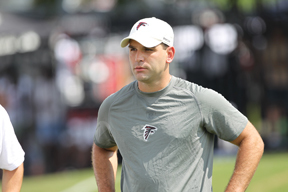 Prior to being promoted to Director of Player Personnel, he spent the last four seasons with the Falcons as the Director of College Scouting overseeing Atlanta’s college area and regional scouts. He also assimilated the information he received and presented it to Dimitroff with a goal of making the NFL Draft as effective as possible. Caldwell was also responsible for scouting the top talent in the country. So, 2008-2011 He's in charge of College Scouting? He hit on Ryan and Julio...and...who else? Where are the stars? In 2009, Falcons took Jerry in 1st round, Moore in the 2nd round, 55. Jaguars took a better players in Knighton, Cox in round 3. In 2010, both teams have an equally stinkful draft, with no major impact players. In 2011, the Falcons obviously hit big with Julio, and its likely the Jaguars struck out on Gabbert in the 1st round. But one of the picks that Gene Smith made that was highly criticized was Cecil Shorts III in the 4th round, who proved doubters wrong in 2012 by looking like a legit playmaker. No Julio, obviously, but tremendous value at the 4th round spot. 2012, which is obviously too early to judge, but who's the best pick of the Falcons (granted, they didnt have as many picks, but that's attributed to the Julio Jones selection that Caldwell reported fought for vigorously to make)? Konz? Meanwhile, the Jags landed Blackmon who even though he started out slow, finished strong and also looked like a playmaker. Anger was a pick that was highly ridiculed, and rightfully so given the position, but he set NFL records for rookie punting. And then, with the 6th round pick, Mike Harris, who looks like a solid nickel guy (a great value). So, in the same span that Gene Smith, a GM that has been ostracized a lot for his failures, I fail to see where the Falcons draft has been this great success, with the exception of the INCREDIBLY risky deal and selection for Julio Jones. March 16, 2012: ESPN's Adam Schefter reports via his Twitter that the Falcons reached an agreement with DE John Abraham. He reports it is a three-year deal. March 10th, 2012: ESPN sources are reporting that the Falcons have agreed to terms with former Seattle Seahawks linebacker Lofa Tatupu. March 9th, 2012 - According to NFL Insider Jay Glazer on Twitter, the Atlanta Falcons have agreed to terms with veteran offensive guard Vince Manuwai. March 8th, 2012 - The Falcons have re-signed RB Jason Snelling. This is yet another good re-signing this offseason. 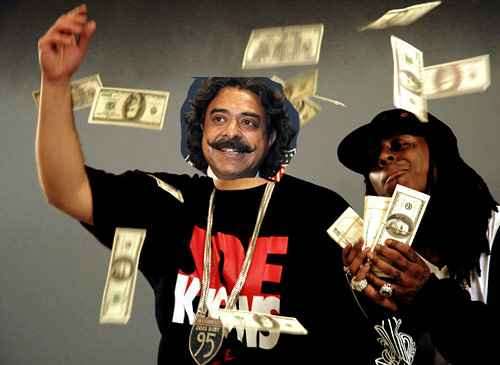 The Falcons got Snelling for three more years at just $4 million total. This is a top GM candidate's resume?!?!? William Moore is a really good player. A lot of subjectivityand assumptions in there. Also some reaching in there. Ex: Manuwai & Tatupu signings = Thomas & Holt signings. Potential stopgaps on the cheap. No idea why they are listed. When he's healthy, which he isn't always. Not really something you can fault a GM for though. It wasn't like he had an injury history. Oh certainly not. But I'm just saying Moore is probably the better pick since he's now contributing at a high level. Not that Cox was a bad pick. You're right. He's a terrible candidate because a comparably good player was drafted after a player he had a hand in selecting. Regardless, the point I'm trying to make is not to say that Gene was/is better than Caldwell. All I'm saying is that, really you look at their drafts, and there's really two standouts....Jones and Ryan (though Ryan was before Gene). Other than that, you're likely splitting hairs, with edge on Falcons on some, edge on Jaguars on some. You give Julio and Ryan to the Jaguars and the Falcons GM/scouting department are the ones looking for a job while Gene sits pretty in Jacksonville. Also, rumor has it that he's bringing Chris Polian with him.